100% plant-based, organic whenever possible, fresh from local farms, made with love. 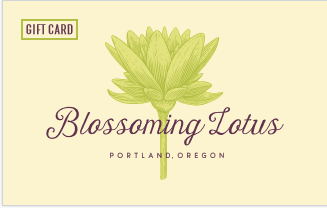 A Blossoming Lotus Gift Card makes a thoughtful gift of 100% plant based deliciousness for any occassion, large or small. Meat Free Monday is a not-for-profit campaign which aims to raise awareness of the detrimental environmental impact of eating meat and to encourage people to take action by committing to one meat free day each week.